Franchise owners ought to be thinking about their succession plan from Day One. Airline protocol has flight attendants announce that passengers should know where the nearest exit door is. That reminder is delivered when the plane is still on the ground. It’s useful information to have in advance, and it’s the same for franchisees. Exit strategies—or succession plans—are “vitally important from the day a franchise opens,” says Sam Thurman, vice president of development for Mr. Rooter. Thurman—who also serves as vice president of resales for most of Neighborly’s North American brands—says designing such a roadmap doesn’t mean the business is going to have an emergency or struggle. 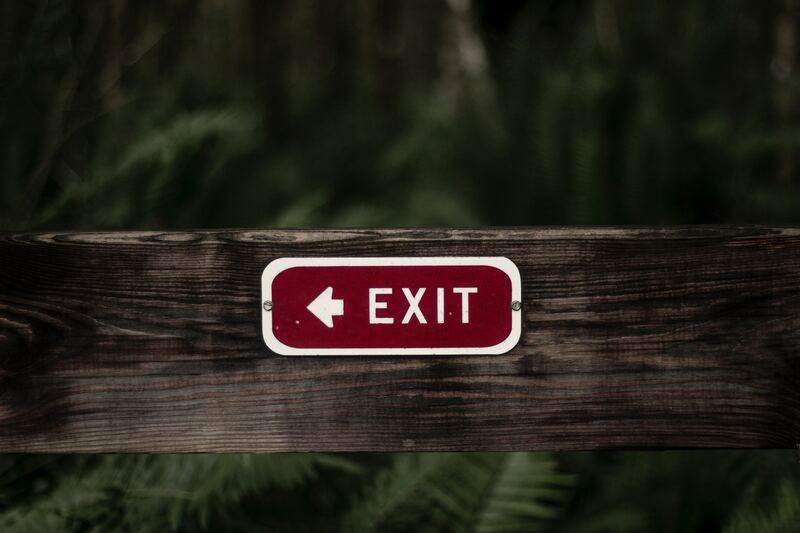 The choice of an exit plan can influence business development decisions. Assumptions and surprises in business can be unsettling, says Thurman. That’s why Neighborly teaches new owners about market value, profit-and-loss statements and the franchise model. Most entrepreneurs don’t fully understand valuation, the process of determining the current worth of an asset or business, Thurman says. Many franchisees believe they’ll own their business for years, so they adopt a laissez-faire attitude of “I’ll get around to it.” Thurman says these folks often prefer to focus on a growth strategy and day-to-day operations. Neighborly encourages owners to commit to learning the valuation process. Over the past several years, Thurman and Mary Thompson, the COO of Neighborly, have been providing training on the topic. He compares learning about exit strategies to having an annual physical. “Why wouldn’t you check up on your business once a year?” he asks. Thurman recently worked with a husband and wife who own a Mr. Rooter franchise. The couple set their five-year goal and are nearly 70 percent along the way to achieving it. Many franchisees want to pass their shops on to adult children or other relatives. Thurman says that if an exit strategy includes offspring, “the earlier we begin to talk with owners and children, the better.” Honest conversations are essential, Thurman says, as adult children must know the game plan and be ready for a transition. Emotional and professional maturity and experience are essential, Thurman says. “It’s one thing to give a gift of a business,” he says. “The owners want to be sure the kids take advantage of what’s being given to them.” He adds that he meets with the grown children as well. Thurman shares an example of such an exit plan. He says he’s been working with a family-owned Mr. Rooter franchise in New York where multiple children are involved in taking over the business. They have to define their roles, Thurman says. “Some adult children have been in business for most of their lives,” Thurman says, “but they aren’t ready to step into a new role yet.” A plan and structure will help, he adds.